I love the move and the saying ” Dolce far niente” The sweetness of doing nothing. 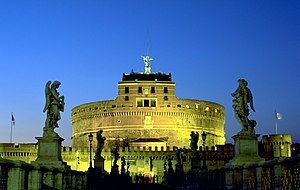 Read this BLOG about one persons experience in Roma. They said Rome was “healing”! Italians really no better than we Americans how to live in the moment. How to appreciate your life and what you have. How to be thankful for what you have. Remember this next week on Thanksgiving Day. Thank the family and friends in your life. Sit back and enjoy your life. DO NOT THINK ONCE ABOUT WORK. Be into Dolce Far Niente! Pizza can be very different in different parts of Italy. In the north (Milano) it is thin crust with imaginative toppings and very good. In Roma it is thin cracker crust pizza that I don’t care for. 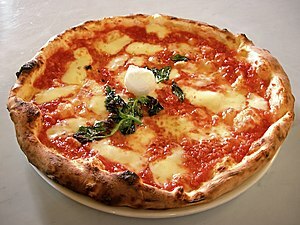 In the south it’s Neapolitan (from Naples) pizza which is what most pizza in America is fashioned after. Here they do thin crust, margarita style pizza with buffalo mozzarella. YUM! Where ever you get it, the Italians use only fresh ingredients that smell fantastic and taste molto buono. Don’t forget a glass of great Italian Vino with your favorite pie!